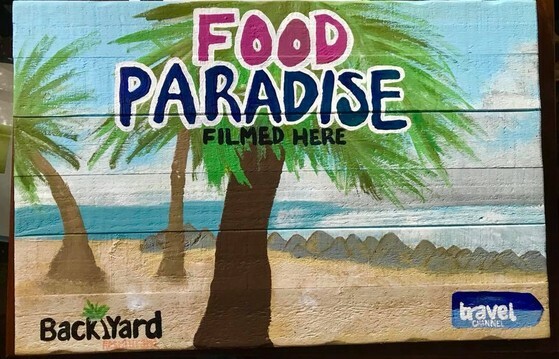 We Were Just On The Travel Channel's Food Paradise! And This Happened... WOW! THANK YOU! Click The Photo For The Full Story! Welcome To The Backyard. 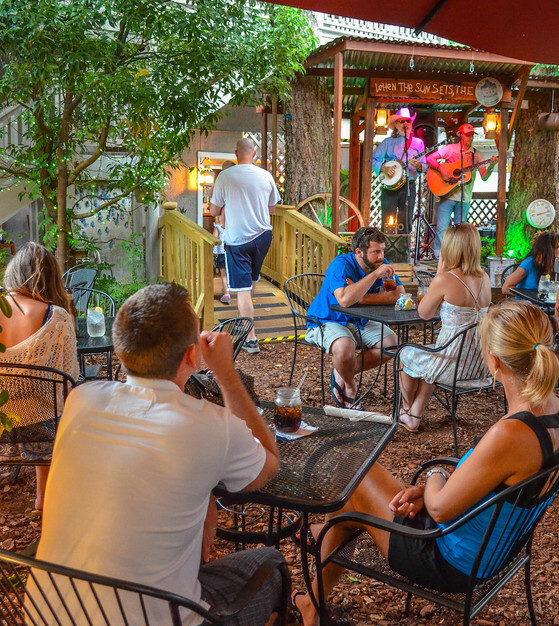 "I grew up here having oyster roasts on the May River, and cookouts under the live oaks. We had a completely different Island back then. I found rusty lighthouses that seemed haunted in the middle of Palmetto Dunes, hung out at an abandoned mansion in Rose Hill, and just enjoyed what would be considered the simple life on Hilton Head. We only had no fast food options and only 1 FLASHING LIGHT on the Island. The old rusty lighthouse which is in Leamington was restored, and is now the centerpiece on one of their golf courses. The abandoned mansion is now the beautifully restored Rose Hill Mansion. We had a great time back then. When I was 8 years old, I would cane pole fish with Island Gullah natives in lagoons that had 12 foot alligators in them (one gator was called Big Joe who lived in Shipyard). I had my first taste of the Island's fresh fish with those Gullah ladies. I never knew that I would miss it all so much while it was going on back then. I love these memories of The Island and this is what our restaurant is all about. 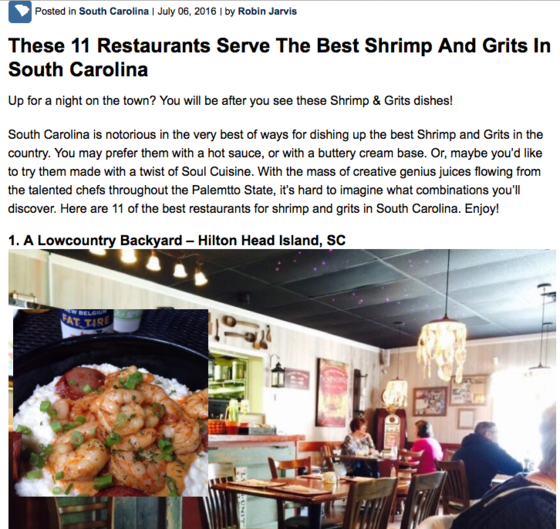 A Lowcountry Backyard Restaurant brings back those simpler times along with the great seafood and cuisine that we enjoyed and grew up on. The food is here now and the Lowcountry Boils and oyster roasts are coming soon. Experience the Island and LOVE the food with us. Welcome! Share food, stories and advice. Definitely, make yourself at home." — Dave & Raina Peck, Owners.